This brand new cross (so new that we don't even have a photo to show you!) promises to be a great one! 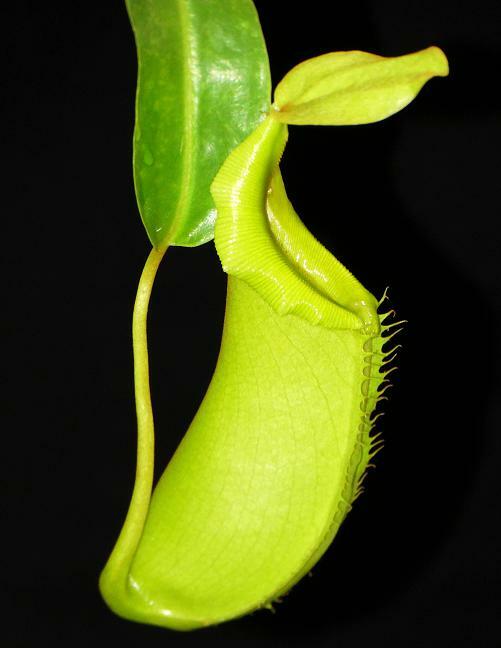 The female parent is one of BE's unnamed clones of Nepenthes burkei, which has a wonderful superficial resemblance to the shape and patterning found on Nepenthes hamata. 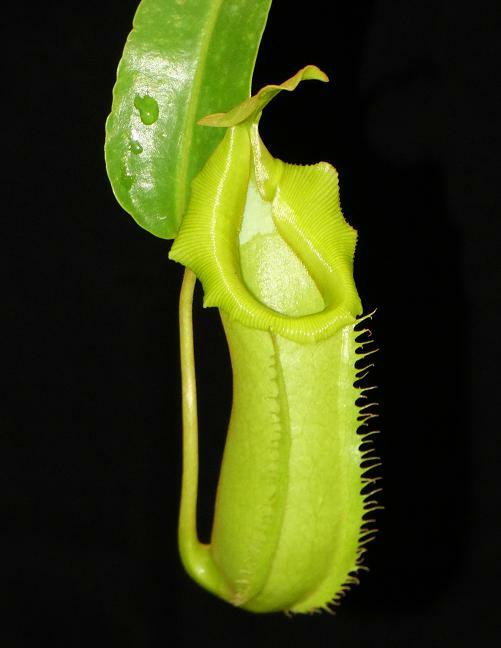 Couple this with the wide, flaring peristome of the rarely available Nepenthes veitchii and the fact that at least SOME of the clones (no guarantees though!) will be solid GREEN like the photos, and we can virtually guarantee these won't last for long! These are assorted clones too. Small plants up to 3 or more inches in diameter, shipped potted and ready to grow in 3-inch pots, not bareroot as you find with many other suppliers. Note: for those who want to keep track of Borneo Exotics' item codes, this is BE-3934.